The Boston Red Sox (95- 67) finished second in the AL East and earned the 2008 Wild Card berth. The Red Sox have been to the post-season four of the last five years, winning two World Series. During this year's hot stove season, the Sox did not do much in the free agent market. Then again, last season they sported a run differential of plus-151, which was second best in MLB, and posted a home record of 56- 25. Maybe they didn't need to improve that much? The Red Sox starters are some of the best in the majors. Number one is Josh Beckett (12- 10 W/L, 4.03 ERA, .256 BAA) who has excellent two-and four-seam fastballs (90- 96 mph). Daisuke Matsuzaka (18- 3 W/L, 2.90 ERA, .211 BAA) offers five solid pitches and an ability to get out of jams. Lefty Jon Lester (16- 6 W/L, 3.21 ERA, .256 BAA) has a 90- 95 mph fastball and three other class pitches. Brad Penny (6-9 W/L, 6.27 ERA, .304 BAA), who's come over from the Dodgers, has health issues and is worrisome. Old Man River, Tim Wakefield (10- 11 W/L, 4.13 ERA, .228 BAA) is one of the best knuckleballers around and can play numerous roles. The relief team is led by imposing closer Jonathan Papelbon (2.34 ERA, 41 SV, .223 BAA) who throws a 94- 97 mph fastball and has no fear. Lefty set up man Hideki Okajima is a fine competitor. Jacoby Ellsbury (.280 BA, 47 RBI, 9 HR, 50 SB) gives the Sox speed and Dustin Pedroia (.326 BA, 83 RBI, 17 HR), Jason Bay (.286 BA, 101 RBI, 31 HR) and Kevin Youkilis (.312 BA, 115 RBI, 29 HR) can all hit. If DH David Ortiz and 3B Mike Lowell are both healthy, they'll smack in their share of runs. Jason Varitek could not hit last season while J.D. Drew showed improvement. The infield is solid, with three gold glove caliber players—Lowell (3rd), Pedroia (2nd) and Youklis. Varitek is one of the best at calling games and handling pitchers. Outfielders Bay and Ellsbury are both fine, while in right Drew can be a adventure. Lowrie at short is a utility guy. Last season, manager Terry Francona proved that he was one of the best. Amid the Manny Ramirez controversy, injuries to Ortiz, Drew, Lowell and others and all the critical hype that defines Boston sports, Tito remained focused and almost got the team to another World Series. General Manager Theo Epstein knows when and how to negotiate and possesses a keen critical eye. John Henry may be the best owner the Red Sox have ever had. The Red Sox will once again field a talented team that has good chemistry. The addition of Bay last season and the trading of Ramirez lifted a cloud from the team. Pedroia, who was AL Rookie of the Year in 2007 and MVP in 2008, is a lunch pail player. This is a club of non-complacent battlers who will, once again, be in the fray till the bitter end. Read more on the Red Sox other AL East division opponents, New York Yankees, Toronto Blue Jays, Baltimore Orioles and Tampa Bay Devil Rays. For more info on the Red Sox check out the MLB official page for Boston baseball. The 2009 Major League Baseball season is here and Maddux Sports once again has unveiled their annual preview of this years summer pastime. We go in-depth on all 30 baseball teams as well as our divisional predictions including order of finish. To find your favorite team click on the division links to the right. At anytime you can return to the 2009 baseball preview page. 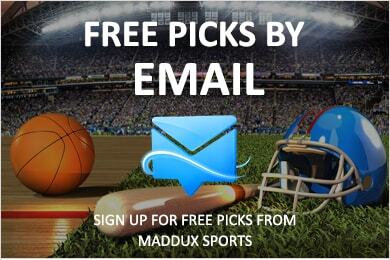 Baseball Betting Picks at Maddux Sports!